Krka is one of Croatian destinations you cannot and must not miss. 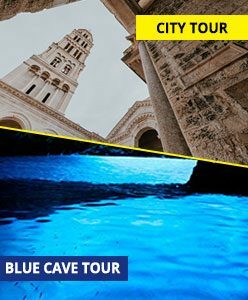 When you decide to visit- we will offer you our private tour which is full of advantages and help you navigate through one of Croatia’s most beautiful natural wonders. 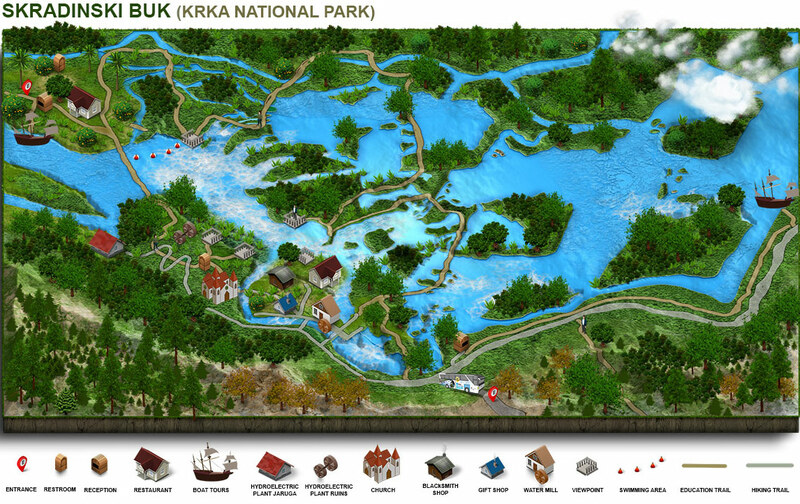 Krka National Park is the seventh of Croatia’s eight national parks, which was proclaimed as so in 1985. 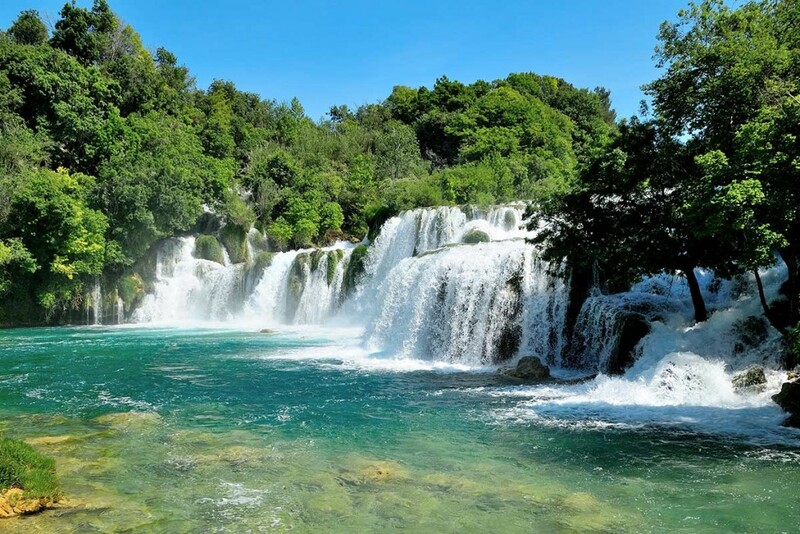 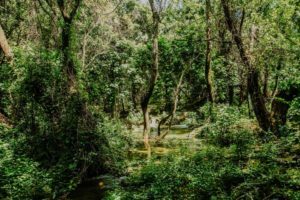 Located within Šibenik-Knin County, the park covers a total area of 109 square kilometers, featuring preserved ecosystems, unmatched natural value, flora (1022 plant species to be exact), fauna, and- of course, Croatia’s most famous waterfalls. 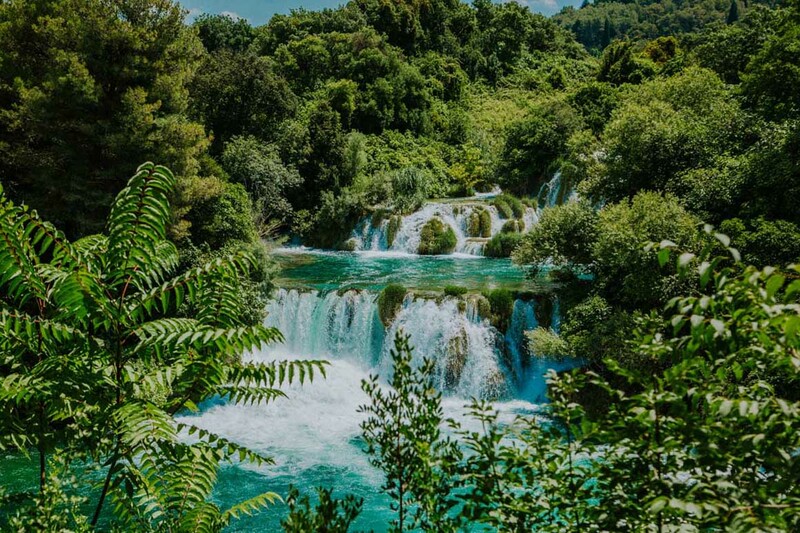 And those waterfalls of Krka National Park are a phenomenon that took millions of years to create! 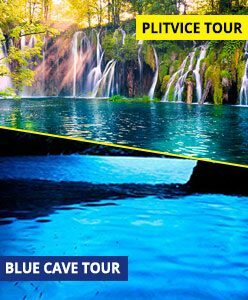 The strong current of the river (which cuts through the park and runs 72,5 kilometres long to be the 22nd longest in Croatia) slowly carved through the limestone hills and created a canyon 200m deep. 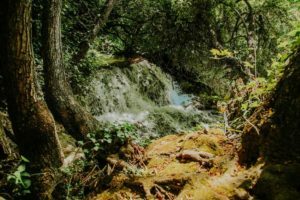 Moss and algae then retained the limestone’s calcium carbonate, forming barriers and creating magical waterfalls that gracefully tip-toe their way deeper and deeper through the canyon. 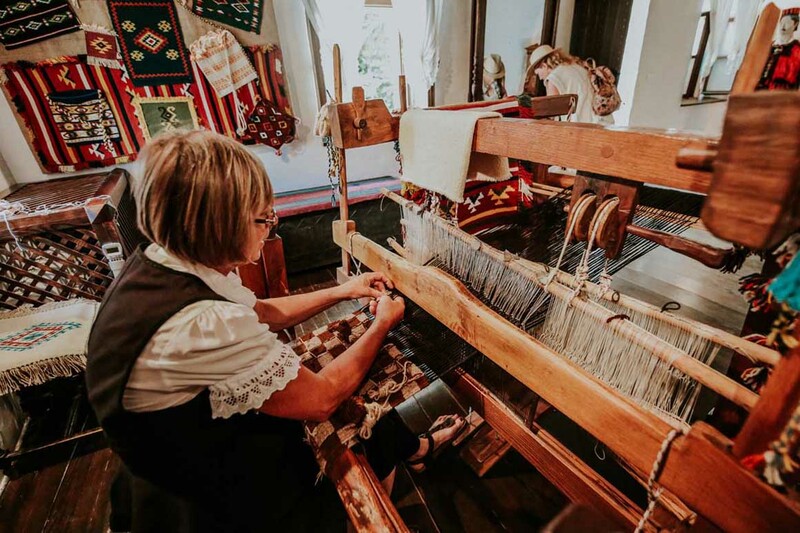 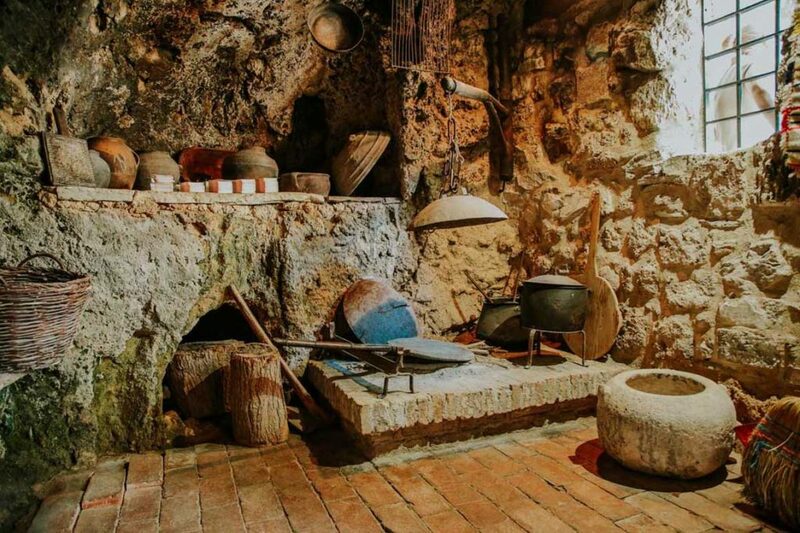 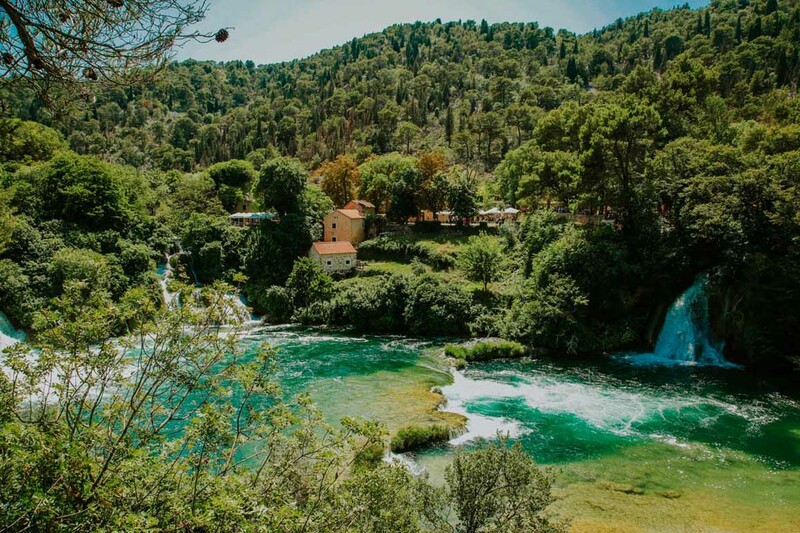 Krka National Park also has various cultural and historical monuments, medieval fortresses as well as working examples of flour and fulling mills, alongside displays of traditional costumes and agricultural implements. 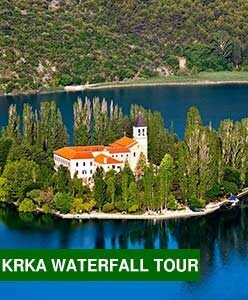 But- the best way to experience the park is with experts thanks to our Krka National Park tour from Split. 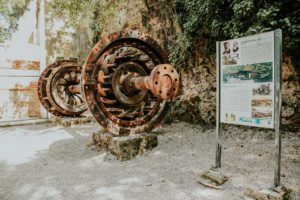 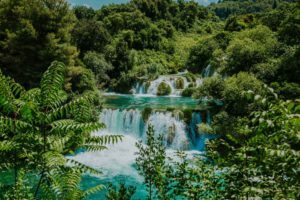 Since Krka National Park is just over an hour away from Split (90 kilometres), this is definitely one of the best day trips you could plan from Split. 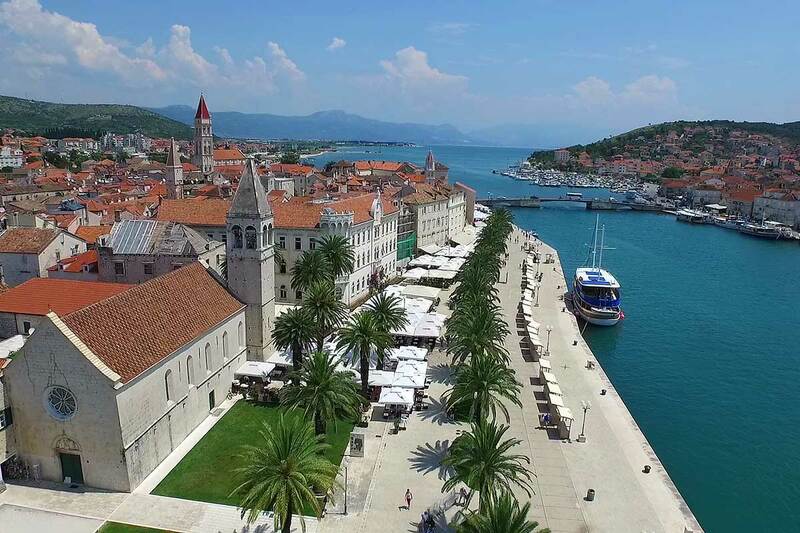 One more beautiful fact is that right on our way to the Park- the city of Trogir is situated, and it is one of Croatia’s best coastal gems! 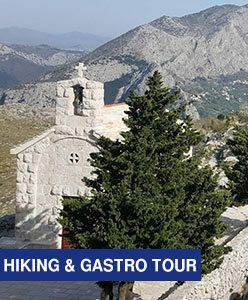 Of course- we will stop to inhale this unique experience too. 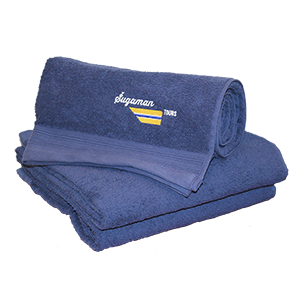 We will begin with accommodating you in our luxury, air-conditioned vehicles, equipped with wi-fii. 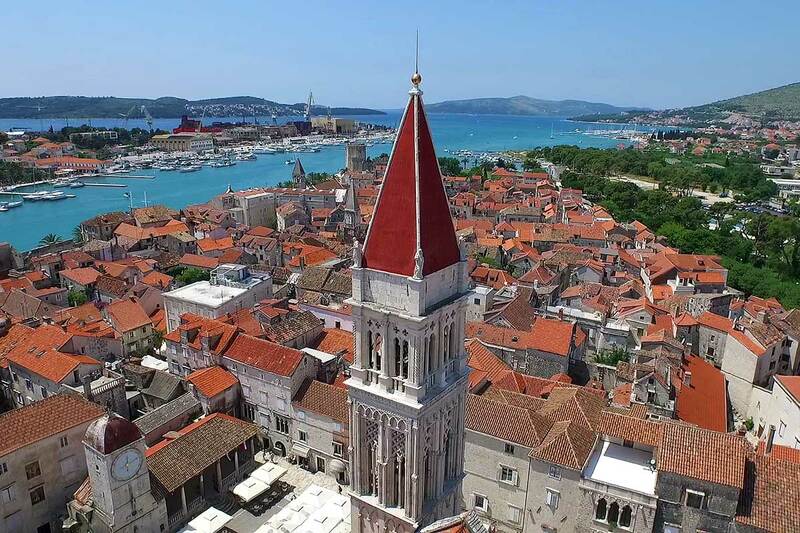 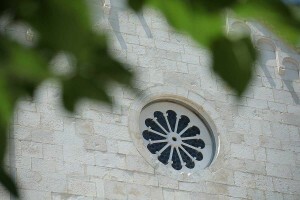 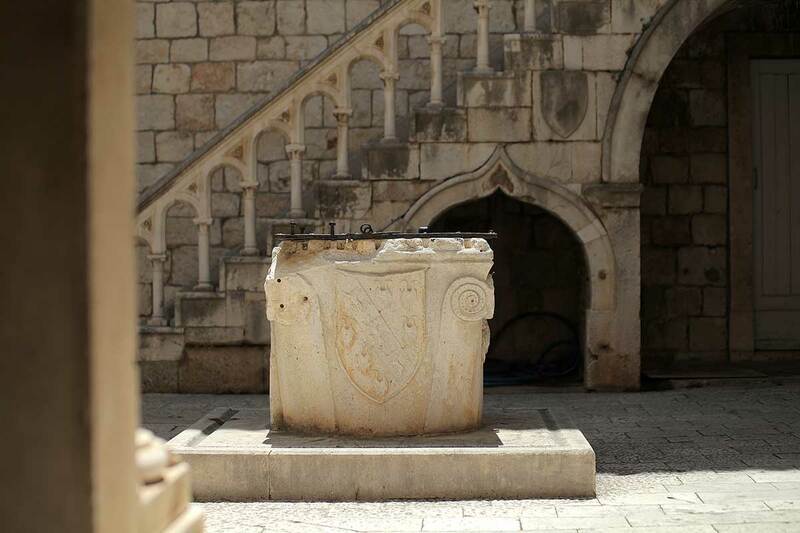 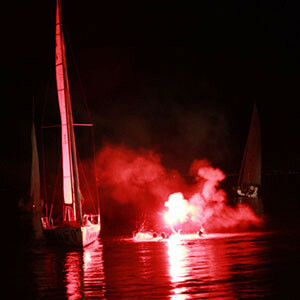 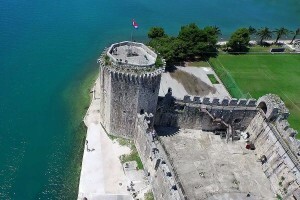 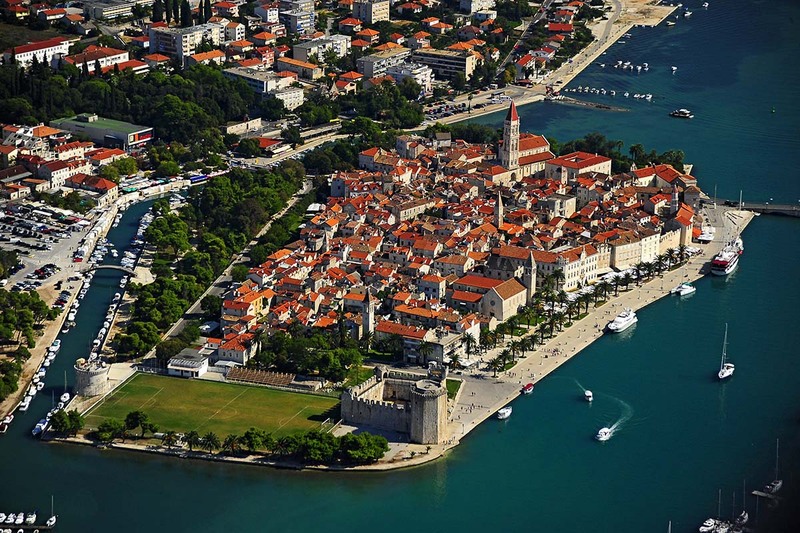 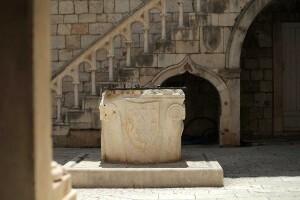 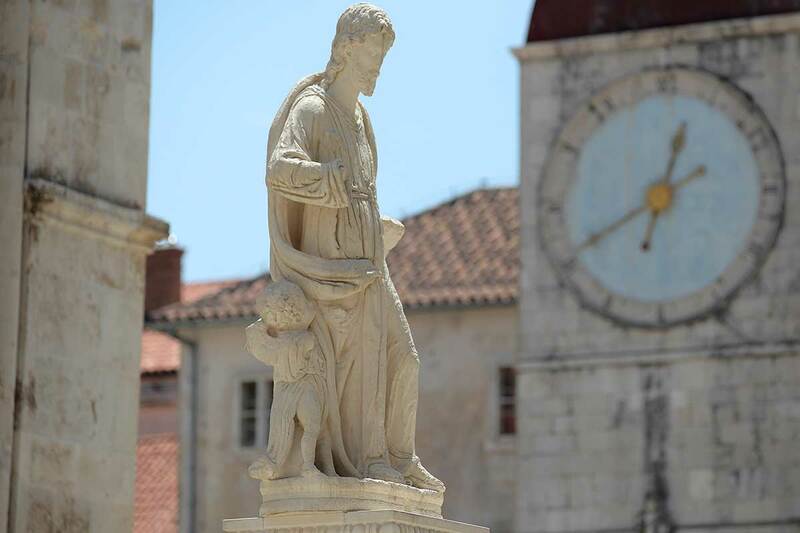 Approximately 30 minutes driving from Split, you will reach Trogir, this UNESCO World Heritage site pearl. 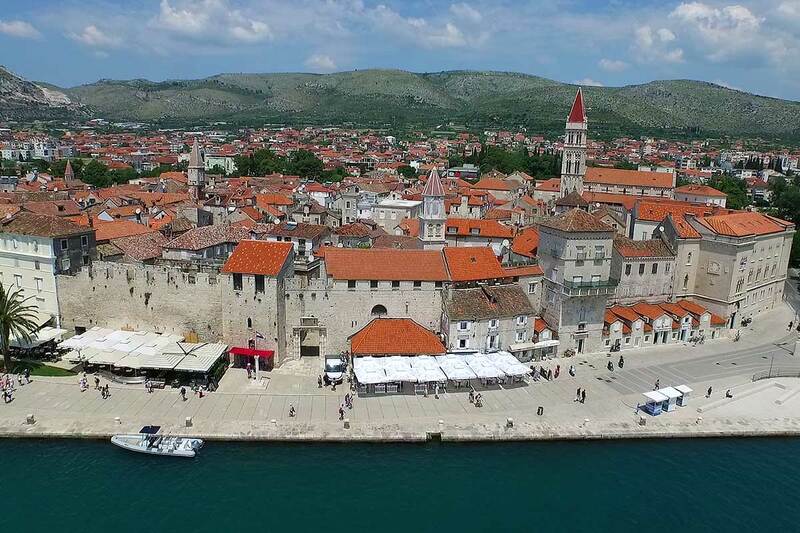 Medieval walls, Kamerlengo fortress, buildings dating back to the 13th and 15th centuries, famous Cathedral, the Duke’s Palace and so much more you will discover in this captivating, ancient town of Trogir. Walking across its waterfront promenade full of ancient views, through numerous small streets surrounded by old buildings will take you to some other time and space. 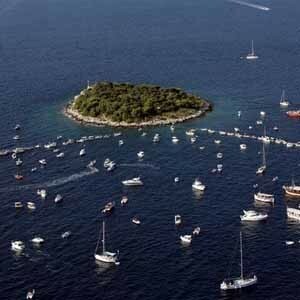 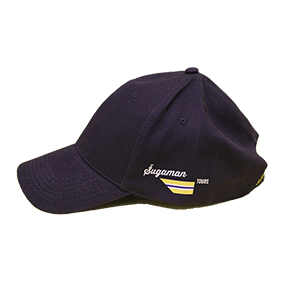 With your batteries already full, we will continue our journey to the Skradin where we will enter the Park. 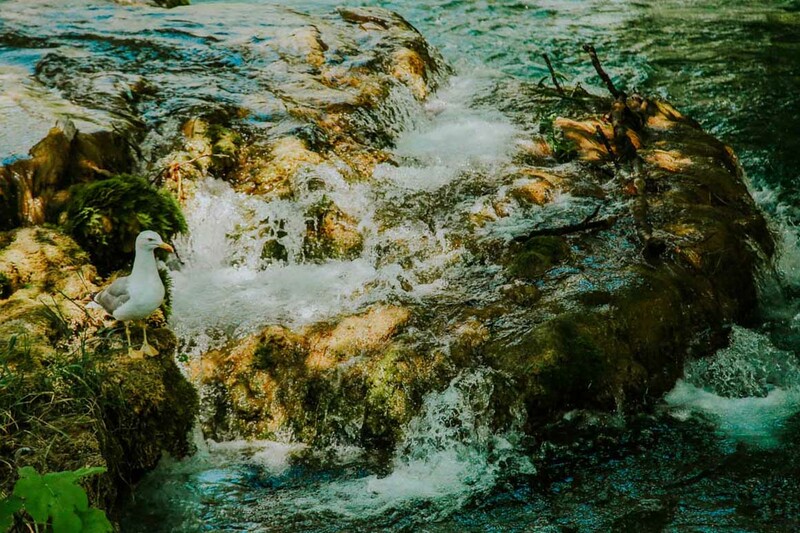 You will start with scenic boat ride which will take us to the most beautiful waterfall Skradinski Buk. 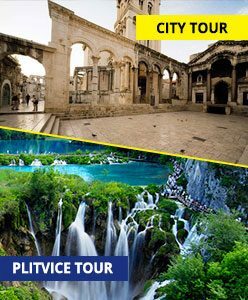 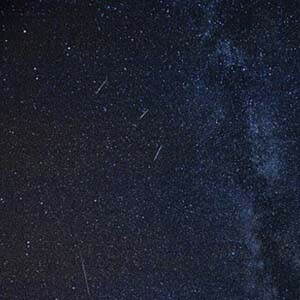 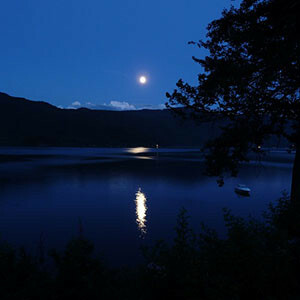 From here, you will first have one hour guided sightseeing of the park and after that two hours of free time for exploring, admiring and unwinding by yourself. 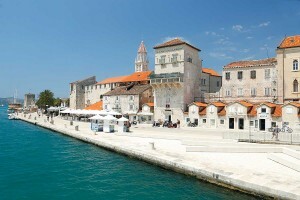 Full of impressions, we will return you back to Split with just enough time for your dinner. 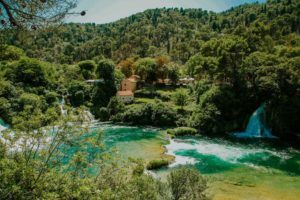 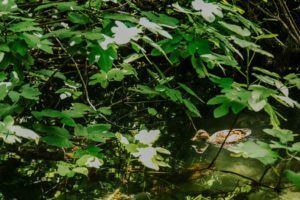 What to see inside Krka National Park? After enjoying the scenic boat ride from Skradin, the first attraction you’ll see is famous Skradinski buk. This incredible waterfall, which is the largest travertine cascade system in Europe, was published and posted in numerous tourism magazines and of course- Instagram and other social networks. 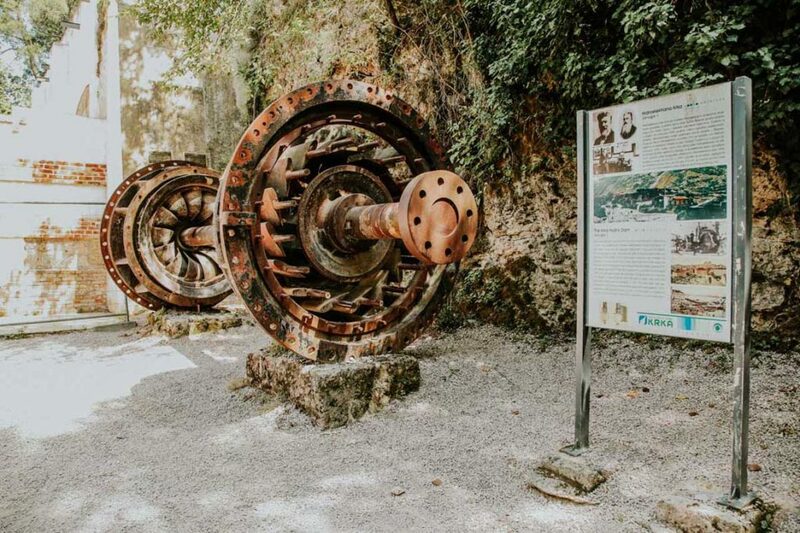 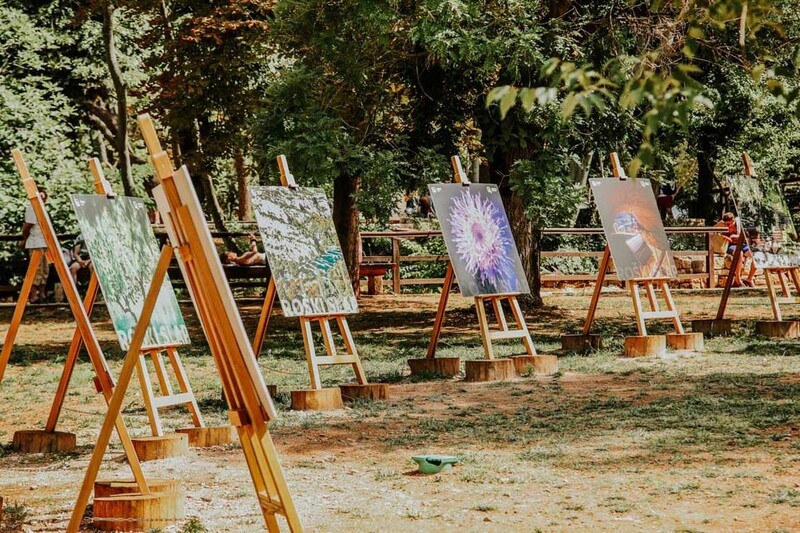 In an hour long walk with our expert guide you will learn all about its history along walking the educational paths of the park and you will find out how historical remnants like stone houses and watermills have transformed into souvenir shops and exhibition spaces. 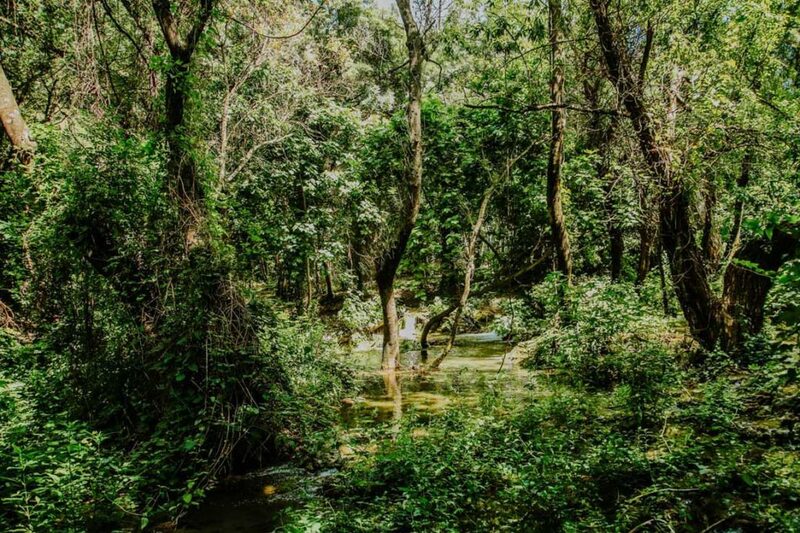 After that- you will head on exploring the park by yourself and you will enjoy every step of it. 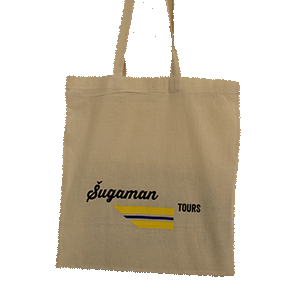 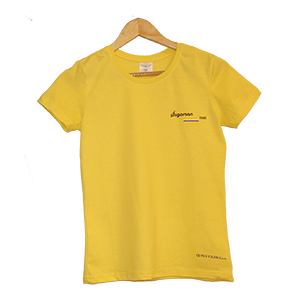 Don’t forget to buy a souvenir in one of those unique shops which offer a selection of old and modern souvenirs that are really authentic and special. 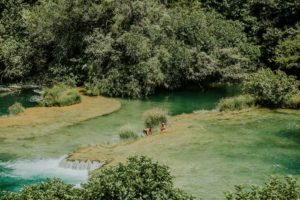 Swimming inside Krka National Park? 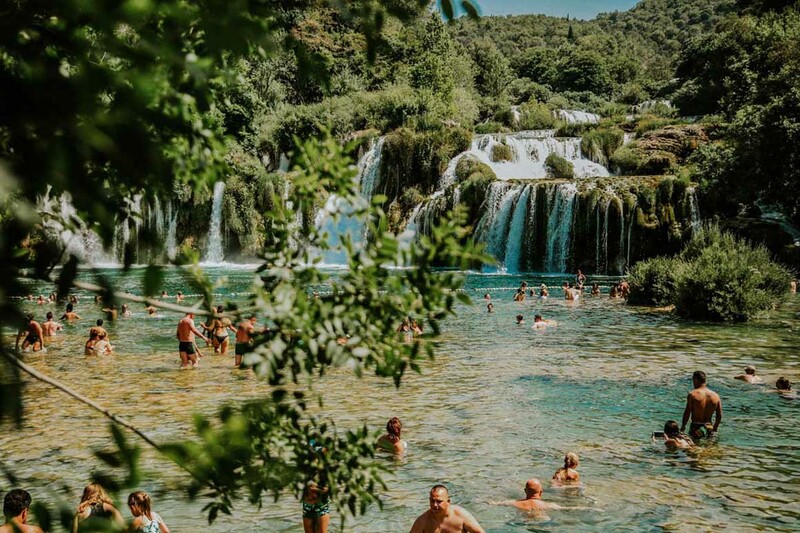 Well, prepare your bathing suits because – yes, Krka National Park allows visitors to swim! 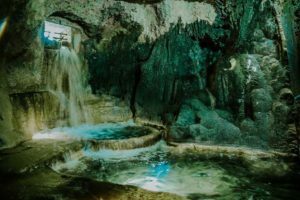 Just be aware that due to safety reasons, it is allowed ONLY in the clearly marked bathing areas and only in summer season, and luckily- Skradinski buk is one of them! What to bring to Krka National Park? 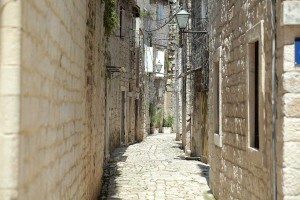 First of all- don’t forget to wear a comfortable pair of shoes, as you’ll be doing quite a bit of walking. 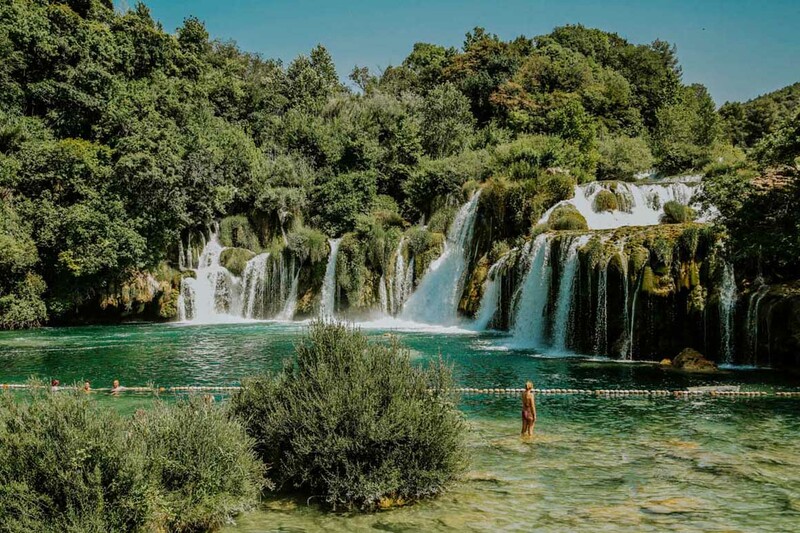 As we already mentioned- if you want to swim (and you should so, because it is truly unique experience to swim right by the waterfalls) don’t forget a swimsuit and towel! 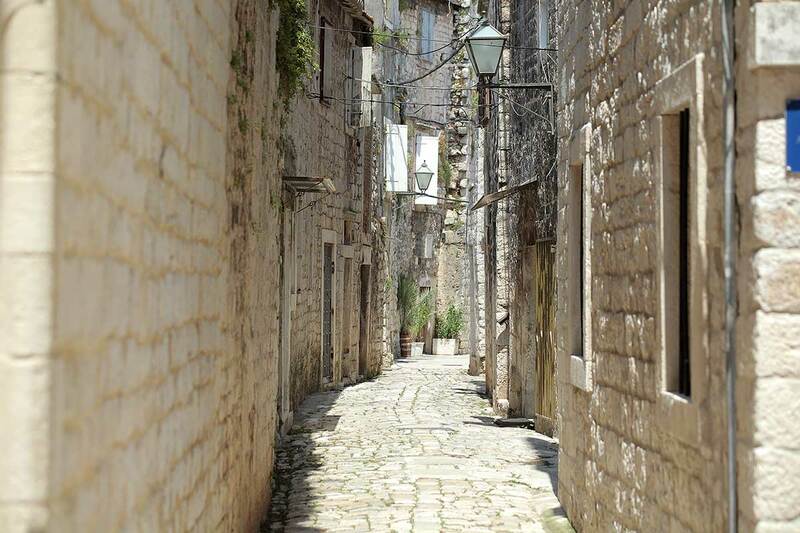 Shall we even mention- camera, since there is everything to take a photo of! 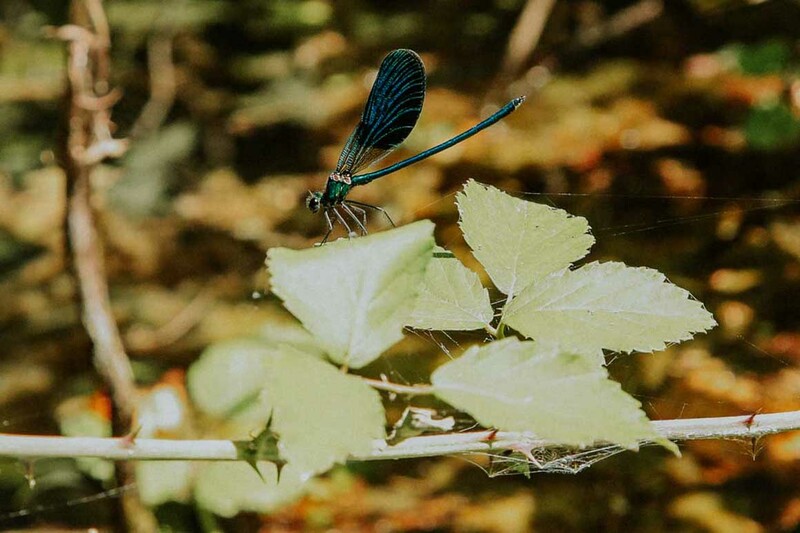 Just be sure to have enough of space on your smartphone or camera because you will be loaded with catching so many beautiful memories. 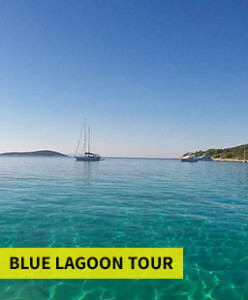 Bring water with you, sunscreen and hat. We always say sunglasses too, simply because we locals with having so much sun here all year around, can’t imagine life without them! 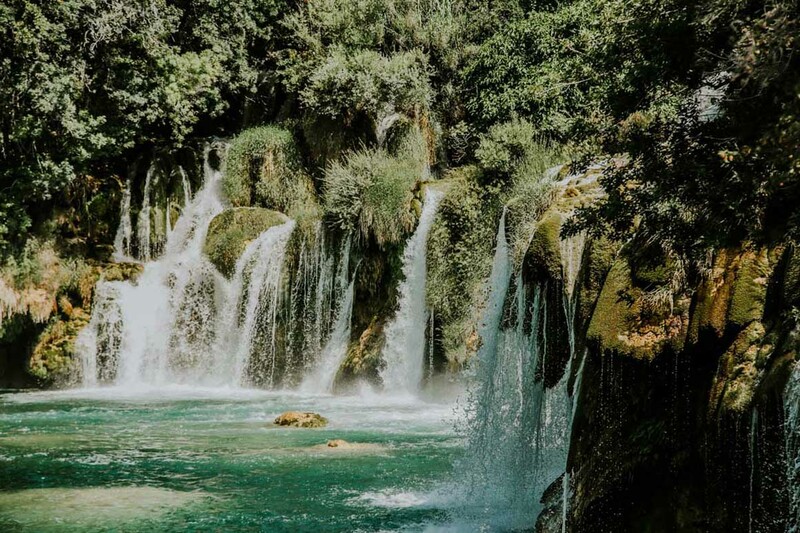 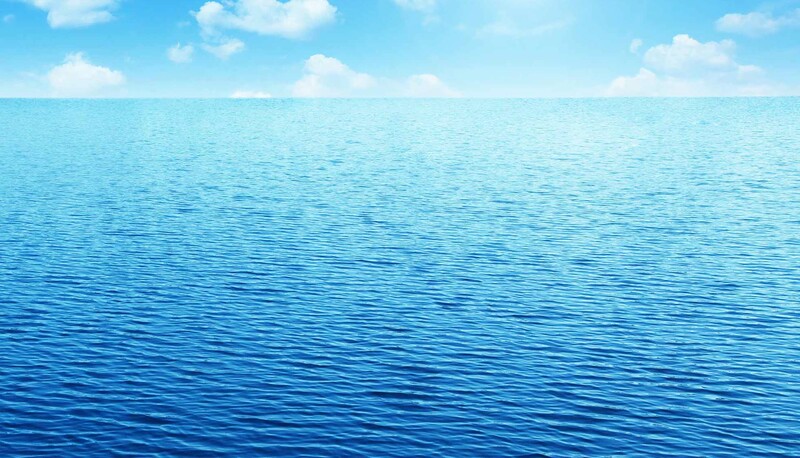 One more extra tip would be to bring water shoes- if you have them, they are not a bad idea to bring along because swimming in the Skradinski buk area can be a bit slippery. When you start to feel hungry, no worry- inside the park there are food stalls selling everything from sandwiches, salads, hot dogs, ice cream, cold drinks, coffee and items off the grill. Just be sure to have cash ready, as most places will not accept cards. We already told you that you can swim only in the park’s designated areas, but please notice and abide the other park rules before your visit. 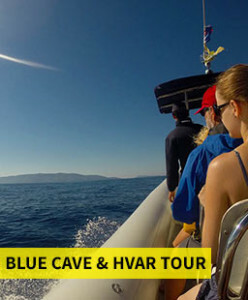 Why is this private tour the best way to get to Krka National Park from Split? 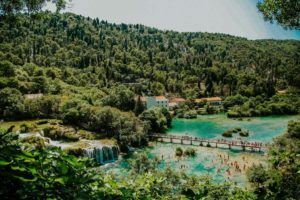 Krka National Park is about 90 kilometres away from Split, so just over an hour-long drive and you could grab a bus to Šibenik, though this option takes around 2.5 hours and it is usually crowded. 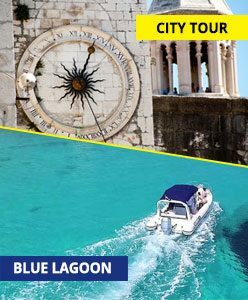 It doesn’t even get you directly to the national park (you’d have to transfer buses to Skradin). 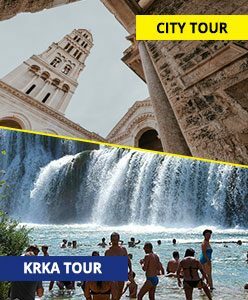 You could also rent a car to get to Krka, though car rental prices in the peak season are pretty high and finding parking place in Trogir is literally almost impossible and not to mention a high price of it. 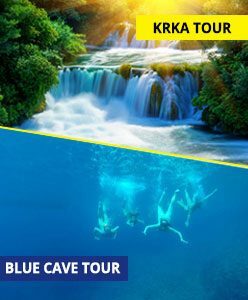 With our private tour getting to Krka is nothing less than simple- with our tour, you’re there in no time, enjoying the comfort of air conditioned, luxury minibus equipped with WiFi. 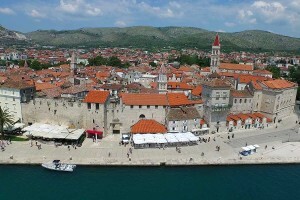 You also get to see Trogir along the way, without worrying about the parking. One plus bonus when you choose a private tour is that it is exactly that- private, which means no other guests with you on board and that you can even choose how much time you want to spend on each stop, maybe a little bit longer in Trogir and less in Park, or other way around- it is all up to you! 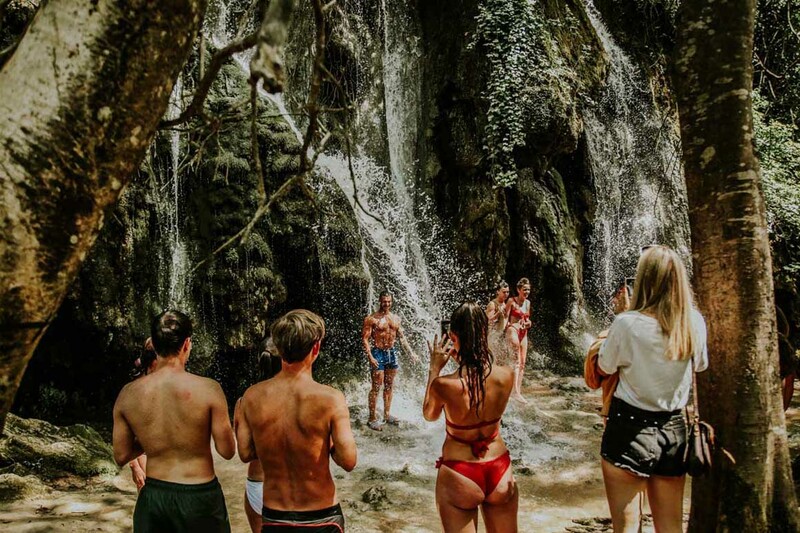 So, let us spoil you and let’s chase some incredible waterfalls together!